Readymade shades have advanced leaps and bounds in the shade industry. With innovations in style and design, readymade shades provide consumers with energy saving and affordable window covering products without sacrificing style or superior functionality. Cordless options include Blackout Thermal Backed Roman shade available in 4 solid colors, white, natural, linen and sage and also available in natural with a black or taupe border, Blackout Thermal Woven Wood Roman shade available in 2 colors, wicker and natural, with or without border, 2" Faux Wood Blind in white, and Honeycomb Cellular shade available in 4 colors, white, natural, grey and taupe, and also available in bottom up/top down in white and natural. Durable and environmentally sensible. Woven Wood Roller shades are available in 3 colors, wicker, natural and white, constructed with a steel ball continuous chain for no fuss adjustments. 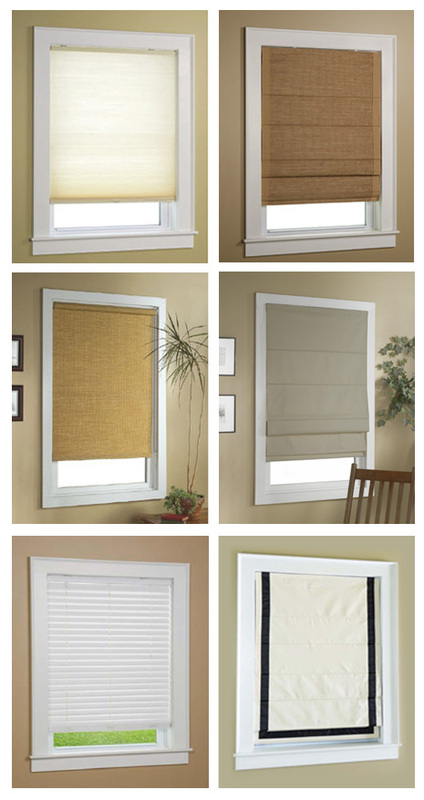 All shades are manufactured in set sizes, hardware included for inside or outside mounts.